Paul and Travis came out to install our new HVAC units and heat pump. They are awesome guys! Great to work with and very professional. The new units are fantastic and they took the time to go over everything with me. They really made it all look professional and tidy, going the extra mile to move pipes and stuff they didn’t have to so it would fit better. I recommend Modern Mechanical to everyone and I will request Paul and Travis next time I need something installed. Modern Mechanical replaced our 20+ year old HVAC system and hot water heater. The job was not an easy one given the complications of getting the condensate lines from the furnace to the outside compressor, but Modern Mechanical stayed late each day during the installation to make sure it was done right. They were very honest about recommending the right system for the house and balancing upfront cost with energy savings, maintenance, reliability, etc. In the end we went with a Lennox XP25 with a dual fuel SLP98V furnace. We’ve had the system for 4 months now and it is running beautifully, with significant energy savings. We were really impressed with Modern Mechanical from the initial visit and quoting process all the way through the end of the installation. We would definitely use them again and would highly recommend. Leo came out today to fix a pipe in the dining room ceiling (his second time being here). He was fast, professional, conscientious and an overall pleasure to do business with. 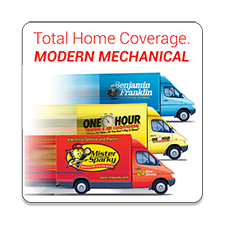 Even though I have a home warranty, I called Modern Mechanical directly because the work they’ve done for me previously has been so terrific. Highly recommended to anyone needing a plumber in the NOVA area. We recently were recommended by a friend to use Modern Mechanical to replace our outdated a/c system. From the phone call setting up the appointment to the salesman who came to give us a quote to the install, we were more than impressed with the professionalism of this company and their employees. We need to replace the other a/c unit and without hesitation, we will be calling Modern Mechanical. 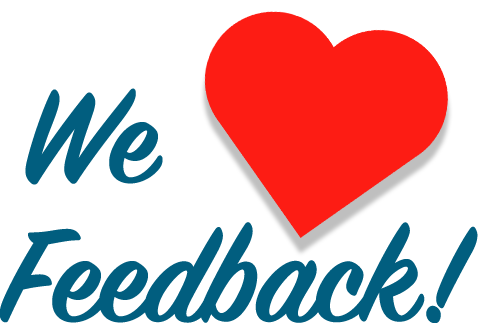 They are reliable, professional, informative and punctual. Brett, Paul, and Bobby installed my new first level A/C unit and furnace today. This is the third time I’ve asked Modern Mechanical to upgrade my existing equipment, and once again I was highly satisfied with the effort. All three of my installation team (Brett, Paul, Bobby) were consummate professionals, deftly completing the work ahead of schedule, briefing me on the changes, answering my questions, and leaving me as a very satisfied customer. I will happily promote Modern Mechanical and their fine crews to my friends and neighbors and when I need my next upgrade I will call upon them once again without hesitation. My hearty thanks to Brett, Paul, and Bobby; and also to Modern Mechanical. Great work! It is not often you receive tremendous customer service anymore. Modern Mechanical delivers on customer service in spades. Their equipment is first rate, prices are extremely competitive and their service is top notch. No reason to look elsewhere. Not only did they replace our hot water heater during a storm, they even helped us set our insurance claim to get the floor damage covered for third-party work. Way above and beyond the call! We will use them to replace our HVAC system as soon as we can afford one. I recently had an issue with my toilet in my condo, leaking so much water that it leaked into the condo below, damaging their ceiling. Modern Mechanical sent a plumber immediately, which made me very happy (as I wasn’t a previous customer). The plumber, Leo was very professional, and honest, explaining to me exactly what he thought the cause could be and what he’d have to do to stop the leaking. Turns out that it was not very serious, and was a somewhat “easy and inexpensive” fix. I feel that Leo was very honest, and would gladly do business with Modern Mechanical again based on my interactions with Leo. You all have a great employee with Leo. I also appreciated that they could call me ahead to meet them there so I did not have to miss a “4 hour window” from work. I had Modern Mechanical come out on a warranty call shortly after I bought my house. After wonderful service, I actually called the warranty company when a plumbing issue came up and specifically requested them. They honored the request and sent Modern Mechanical out for my plumbing issue. They were on time, called ahead, let me choose window of time convenient for me. In addition, the tech, Leo was knowledgeable, talked me through the problem and was just a nice, pleasant person. He even had to go buy special parts, then came back and finished the job with excellent quality and cleanup. On the way out, he also gave me advice on properly prepping my hose bibs for the winter so they would not crack. I highly recommend Modern Mechanical. There are simply no words to express how amazing and wonderful the staff and owners of Modern Mechanical/Benjamin Franklin Plumbing are. Recently, I contacted the owners in regards to an elderly widow in our community who was having some plumbing issues. Right away, they went out to check on her and discovered that she was not able to even use her toilets. They not only quickly fixed her problems but did it for NO CHARGE! That is the type of selfless act that will restore your faith in your neighbor, and shows that business owners that care about the community still exist. Modern Mechanical has been doing my HVAC service for a couple of years now. Both times I’ve had service/cleaning, the technician seemed very knowledgeable and had a clean, professional appearance. Their prices are fair and their response time to my service request was well above adequate. The technician finished the service and then promptly cleaned up any mess that they had made. I normally do all house maintenance stuff on my own, but HVAC is a category that I have no experience in. Modern Mechanical has made this part owning a home very stress free. I would definitely recommend them. Couldn’t be more pleased with our new solar system from Modern Mechanical! They helped us through the process—from concept to final permit approval once installed—and answered all of our questions along the way. Our new four-panel system is perfectly suited to our needs, was reasonably priced and works like a charm. I especially like the interface they use that can show us power production in realtime and over the life of the system. Whether its plumbing, solar, electrical or HVAC, the Modern Mechanical team delivers a premium product time and time again. I Love Them–They Are Wonderful! I am a property manager and Modern Mechanical is my go-to company. I normally use Modern Mechanical for plumbing, sometimes for AC, and had not used them for electrical before. This time I hired them, they really bent over backwards for us. When they went to a house, they first found out that a problem was electrical. They had to turn the panel off, and usually the job would be scheduled the next day. Because she had a child, they came out right away. They’re very responsive, they get the job done and they come on time. They are not the cheapest, but they do quality work and use quality products. They’re very respectful of my clients when they are there. I would absolutely recommend them to others. Modern Mechanical Installed A Trane Dual Fuel Unit Christmas week 2014. Did A GREAT JOB, Also Zoned My Two Story Home And Now It Is Very Comfortable Up & Downstairs. Very Reasonable Pricing & Did It In 1 Day, Wow. I Do Highly Suggest If You Need Heating & Air Help, Give These Guys A Call. Modern Mechanical positioned our panels on the back side of our roof, where they are discreet yet still get a lot of light. We’ve already generated over a megawatt-hour and over a ton of carbon offset, without even thinking about it. And it saves us money. Shawn Mitchell’s people did a fantastic job! I have got to say that I was (and still am) very impressed with their customer service, their professionalism, attention to detail and willingness to “make it right.” I searched and searched for the perfect HVAC company and I think I have found it. Modern Mechanical is superb. I just bought a brand new AC unit and I am very pleased with this company. I highly recommend them to anyone in the Triangle. And if you do purchase an AC unit from them, you can get the Duke Energy rebate (not all HVAC companies do). Due to the age of our house we had a number of plumbing issues which needed to be resolved. When Andrew and Mike arrived they took the time to review each of our problems and offer solutions which would resolve our issues. They took the time to address each of our concerns in a professional and thorough fashion so as to make sure the job was done right the first time. I also found their price to be reasonable for the work which needed to be performed. I would absolutely recommend Modern Mechanical to friends and family. They reset my thermostat. My house was really very cold and I could not figure out what the problem was. I gave the guys over at One Hour Heating & Air Conditioning operated by Modern Mechanical a call and they were able to come and assess the problem. They were quickly able to determine that my thermostat needed to be reset. After taking care of that they made sure everything was ok and then they left. My house is much warmer now and it is all thanks to these guys. I would definitely recommend them to anyone.